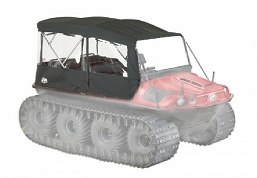 The Frontier 650 8x8 is back in the line-up for 2019 and is Argo's value priced 8x8. 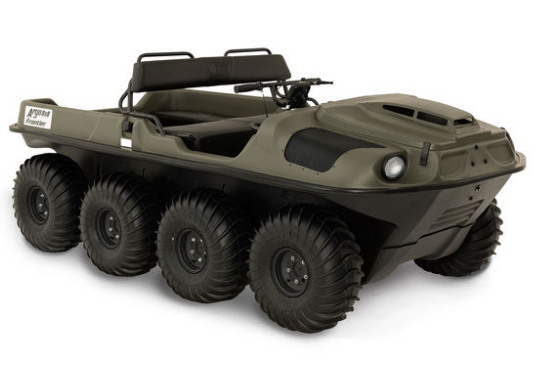 It is powered by a Briggs and Stratton carbureted Vanguard 23hp engine mated to the Argo Generation II Classic planetary differential transmission with high/low forward, neutral and reverse that is available in either standard or an optional factory installed 3.3 low gear ratio transmission. 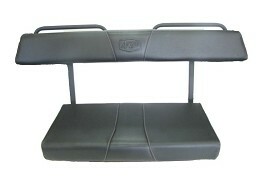 It comes standard with a full-length skid plate, front, and rear bearing extensions and bilge pump. 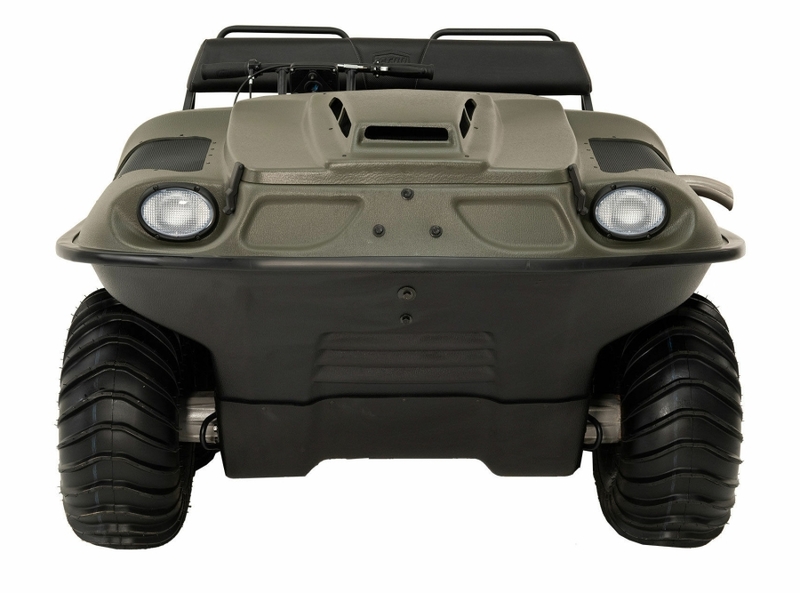 The Frontier 8x8 features the Argo / Carlisle 24x1-8 (610 mm) 4 ply mud and swim tires mounted on 8" offset steel rims that give this machine great traction and best in class payload all while providing a swim speed of 3.0 mph. 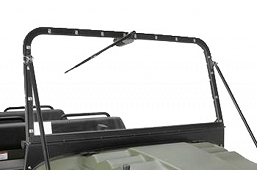 Popular accessories available are tracks, convertible top, windshield, and winch. 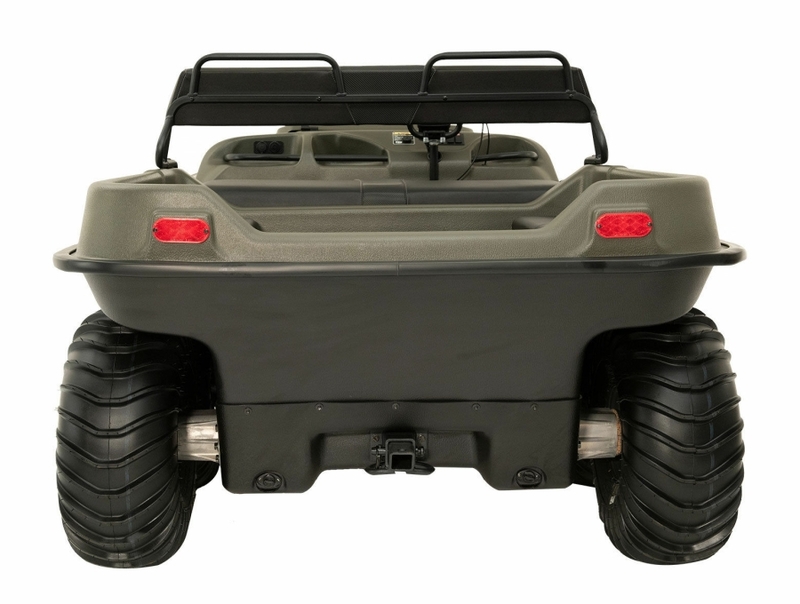 The Frontier 650 8x8 is powered by a 4-stroke OHV V-Twin air-cooled carbureted 627cc, 23 hp (17 kW) Briggs and Stratton Vanguard engine and uses maintenance kit # M-203. 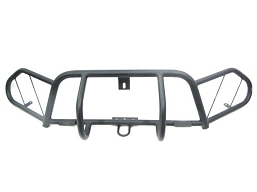 It has a load capacity of up to 830 lb. / 376 kg on land and 730 lb. / 331 kg capacity on the water with the 24" tires installed. 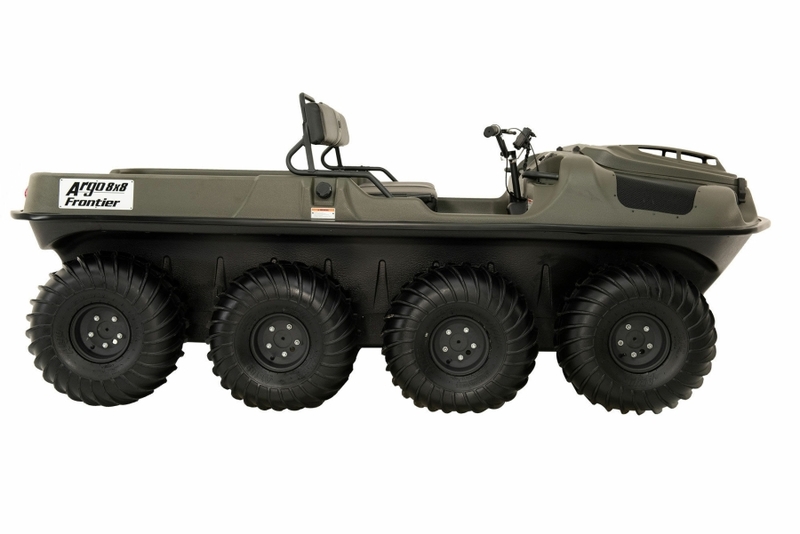 It can transport 6 passengers on land, 4 on water and features a towing capacity of 1400 lb. / 635 kg. • Dependable Argo Generation II planetary differential transmission with High/Low Forward, Neutral and Reverse. • Standard 12 volt outlet with USB.